New York's capital city, although it has just 100,000 residents, has a vibrant and active gay and lesbian community (this is partly taking into consideration the much larger metro area, of about 1.2 million). Much of the city's gay scene is focused around historic Lark Street and Washington Park. Albany celebrates Pride each year with Capital Pride, which draws more than 30,000 participants and comprises a variety of events and gatherings (including Albany Black & Latino Pride) over nearly two weeks, culminating with the Capital Pride Parade and Festival, which takes place on a Saturday during the Pride month of June. Albany's Capital Pride Parade and Festival typically takes place from noon until 5 pm in the city's leafy Washington Park. It runs partly along lively Lark Street, where several gay-popular bars and restaurants are located. Other events taking place during the days leading up to the big weekend include a Pride flag-raising ceremony at City Hall, a Pride kick-off barbecue, an LGBTQ Alternative Youth Prom, a Pride T-Dance and Drag Show, a bowling tournament, panels and discussions, a river cruise, and more. You can download the official Pride Guide from past celebrations. 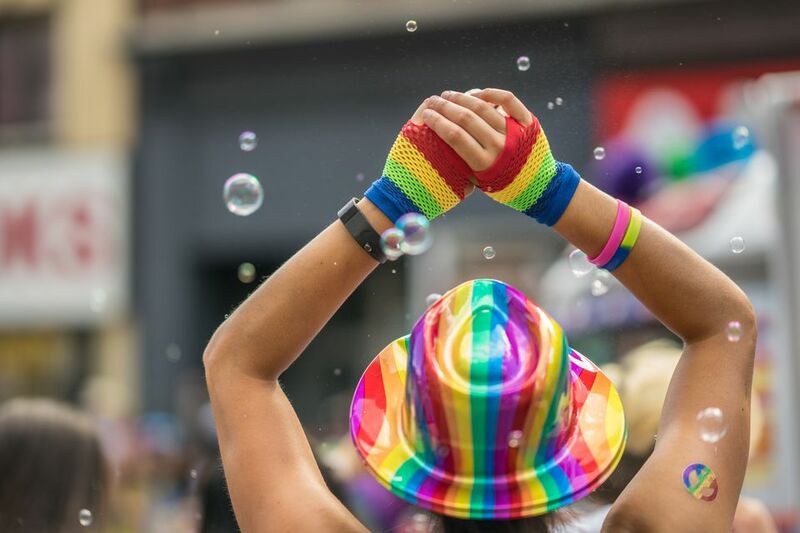 It's worth noting that a few different Gay Pride celebrations take place in the Hudson Valley region south of Albany, all of them within about a 90-minute drive, and all during different times in June. The three different events are Big Gay Hudson Valley's Queen City Pride in and around Poughkeepsie, the increasingly popular Hudson Valley Pride Week in and around New Paltz and Kingston, and the Hudson NY Gay Pride celebration in the small but very gay-popular Columbia County city of Hudson. Also, if you don't mind going further afield, if you make a two-hour drive west of Albany you can attend Central New York Gay Pride in Syracuse, held in mid-June. Additionally, numerous bars, as well as gay-popular restaurants, hotels, and shops, have special events and parties throughout Pride Weekend. Popular spots for nightlife include Lark Street, which has such noted gay clubs as Oh Bar, and there's also a gay bathhouse, River Street Club, a 15-minute drive away in the city of Troy. Check out GayAlbanyOnline.com for more on the area's gay scene. Also take a look at the excellent GLBT resources and travel site produced by the city's official tourism organization, the Albany County Convention and Visitors Bureau.